Keep your road bike at home, and add some resistance. 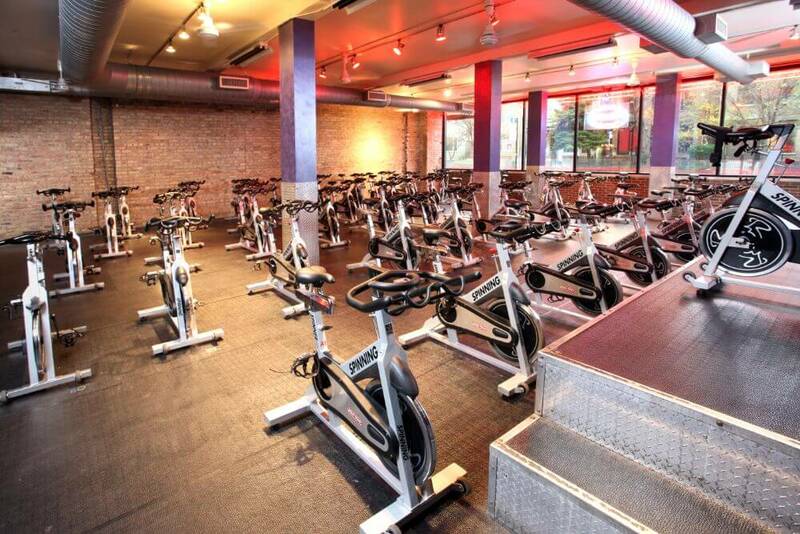 Cycle classes provide an excellent and efficient low impact, fat burning cardiovascular workout. 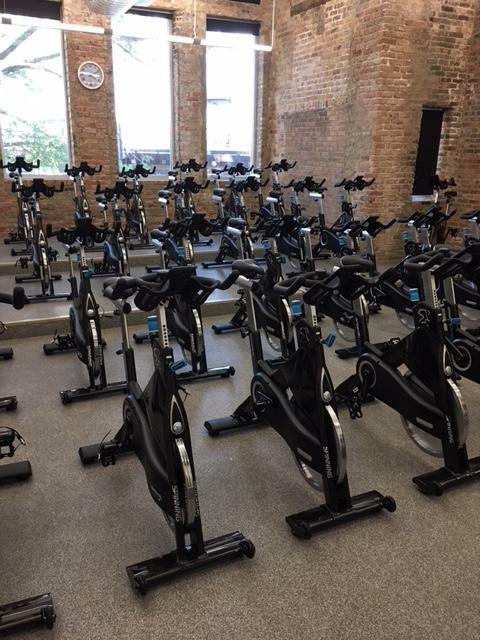 In a group setting with great music and motivating instructors, cycle classes allow you to workout and progress at your own level while still getting the energy from others in the room. It’s a total body workout. For real, you'll feel it everywhere! 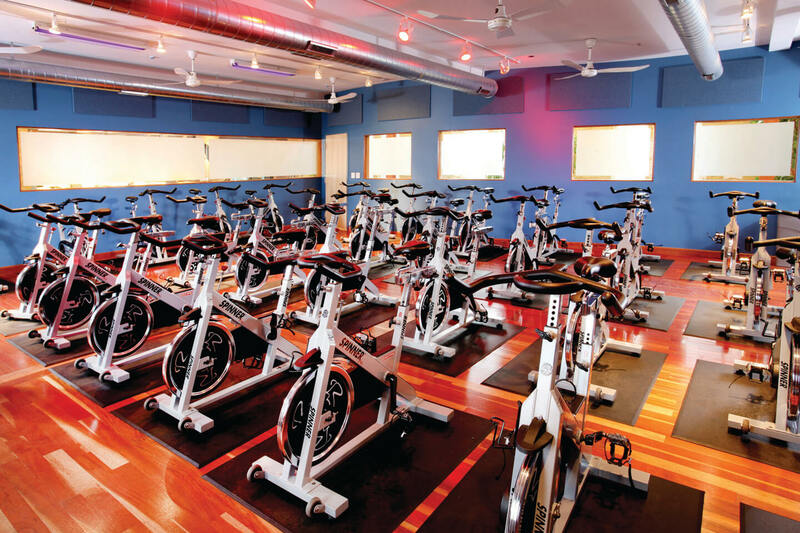 *Cycle classes require sign-up at the front desk 60 minutes before class begins. 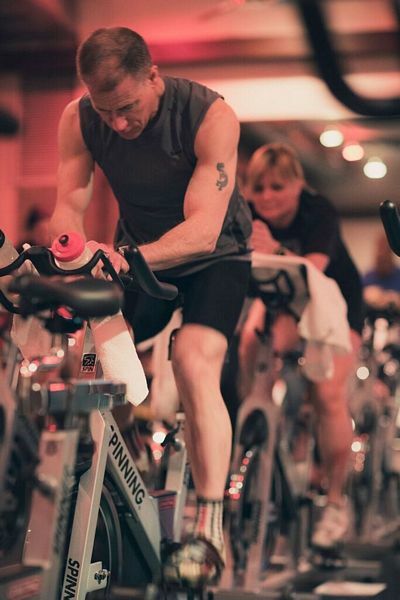 An exhilarating indoor cycling class, highly effective in cardio and strength training. On a stationary bike, riding to awesome music and motivated by an inspiring instructor, one can burn up to 600 calories in a 50-minute class. Work glutes, calves, quads, hamstrings and core, and over time, decrease body fat and improve overall cardiovascular function. Studio Cycle Express is a shortened version. • Reserve your spot up to 60 minutes before class. Row. Ride. Run. Resist. This interval training workout will burn hundreds of calories during the class, plus hundreds more in the 24 hours after. Divided into five modalities of work – Concept 2 Rowers, Spinner Pro Spin Bikes, Woodway Curve Trainer Treadmills, TRX Suspension Units and Kettlebells – this is cardio training with short bursts of very high-intensity intervals, combined with longer, slower intervals to increase metabolism, muscle mass and performance while burning body fat. Recommended twice a week for optimal muscle, mechanical and metabolic recovery. • Reserve your spot up to 60 minutes before class. A DJ mixes music seamlessly with the instructor’s cues and the Studio Cycle format to create a truly interactive experience. A unique and exciting ride that’s always different. • Reserve your spot up to 60 minutes before class. Like Studio Cycle but modified in format and time. Members are encouraged to warm-up prior to the start of class. • Reserve your spot up to 60 minutes before class. LES MILLS SPRINT™ is a 30-minute High-Intensity Interval Training (HIIT) workout, using an indoor bike to achieve fast results. It’s a short, intense style of training where the thrill and motivation comes from pushing your physical and mental limits. A high intensity, low impact workout, it's scientifically proven to return rapid results.